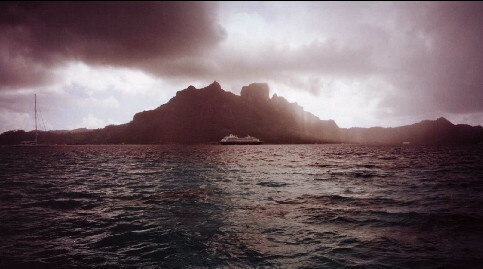 French Polynesian island of Bora Bora. 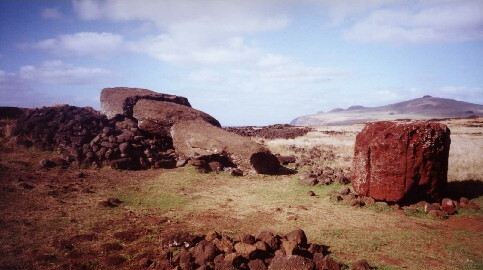 Car rental was $75 and there is a mostly paved road that circles the island - hamburger with fries same price. Helicopter tour, Aquabubble underwater and boat rides. 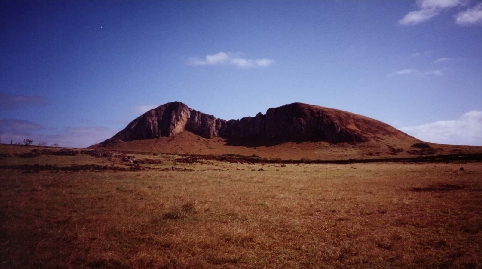 Hanga Roa, the small Chilean town on Easter Island. 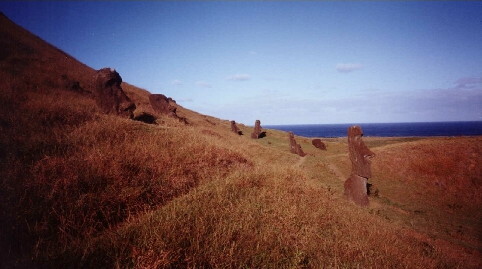 Isla De Pascua in Chile, or Rapa Nui to locals. 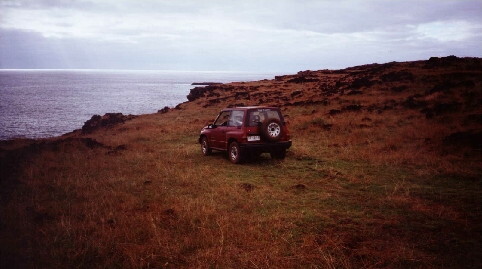 Super small four seat Suzuki 4X4 rental car. Two thousand miles from the nearest city. This truck drove around town and gave tickets to the locals. 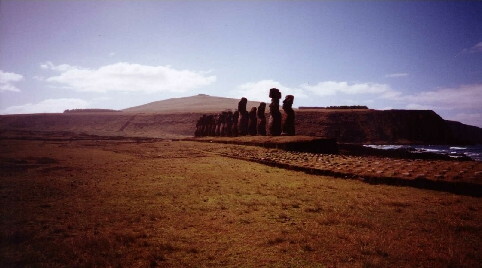 A picture of some Moi (big head statues, pronounced moe-eye). Right next to the rock quarry, also right next to the old lake (other lake is modern man-made). 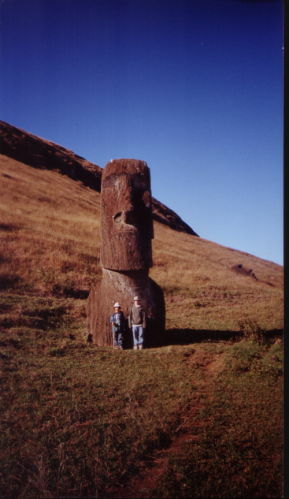 Easter Island is the perfect family trip. 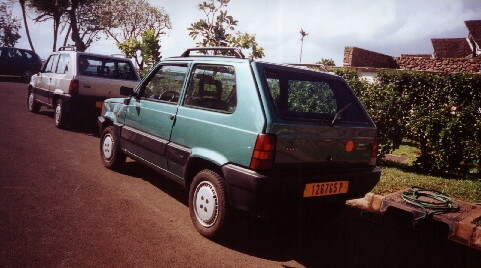 A Moi with a broken neck. More Moi that were restored after being knocked over by a tidal wave in 1981. This Moi was pushed over by European missionaries (says my tour book) who were angry with the indigenous people. 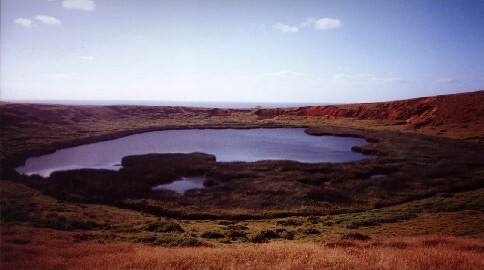 Old Lake in the volcano, target of battles, only horses live here now. 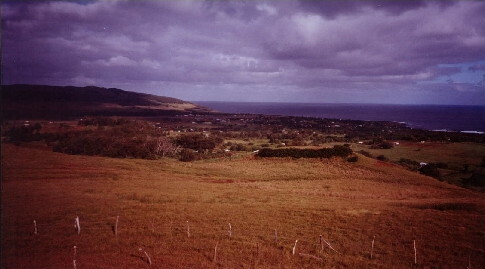 Plains of Easter Island, modern Eucalyptus groves have been planted for wood. 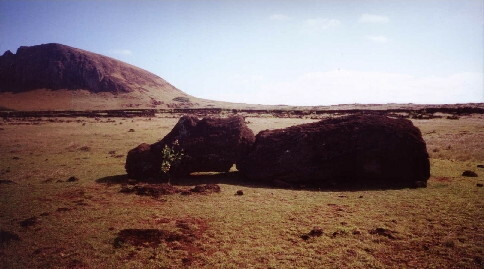 The lack of trees is one reason why the island is so famous, most grown trees were used as statue rollers and early boats. 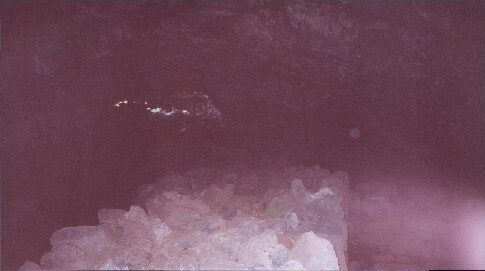 One of the lava caves that can be found where the locals hid from tribal fighting and South American slave runners. 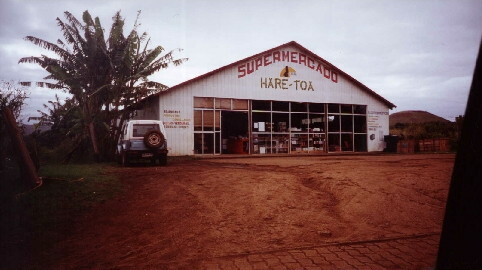 The Big Market. 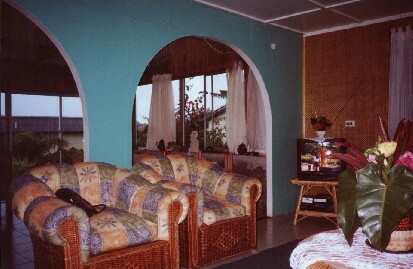 Everything from bikes to beds, not to mention imported American style food, super cheap too. Comfortable ocean view cabin complete with lawn dog. 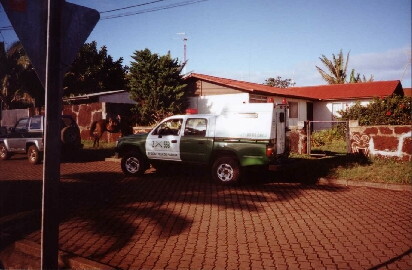 The "I look like a poor kid" car in Tahiti. No horn or radio but cheap for $45 daily. 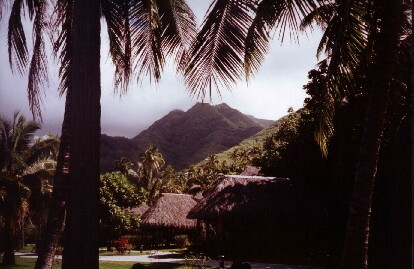 Tahiti is the international hub for French-Polynesia, with real American fast food (gold bullion and mortgage deeds accepted at most locations).